We would like to invite you all to the ‘State of Origin’ exhibition, organised and curated by LoVArts member Gosia Fricze. 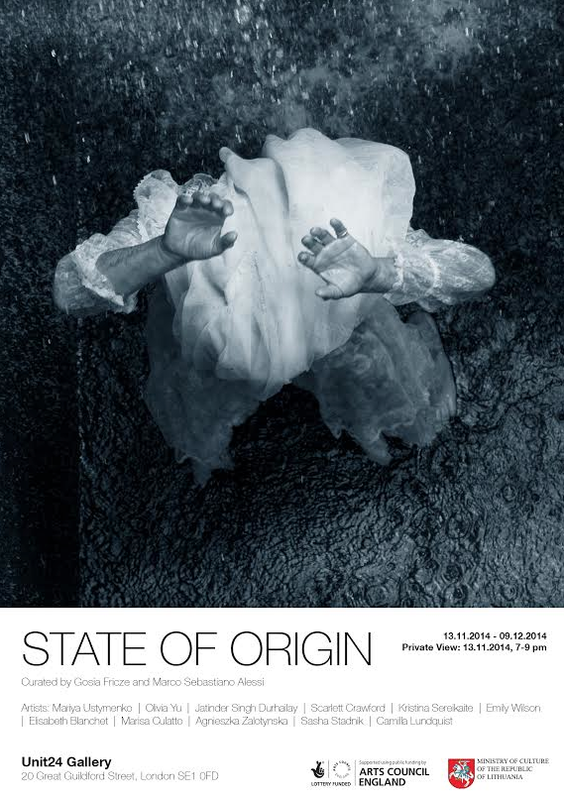 ‘State of Origin’ brings together works of 11 artists with different roots and backgrounds. Focusing on the individual experience of wayfaring, it introduces fragments of stories from those who left their primary origin, and now find themselves at some stage of rediscovering a sense of existence in a new reality. The artists derive inspiration from everyday experiences of being a contemporary nomad or migrant. The exhibition includes works of photography, paintings, drawings and graphics. Following Rousseau’s definition of a state of nature, the curators adapt the same words in order to define the concept of ‘home’ as; ‘A state that no longer exists, which perhaps never did exist, which probably will never exist, and of which it is nonetheless necessary to have the right concept’. The works collectively bring up issues relating to cultural heritage, origins, family, nationality, memories, limits and horizons. Each set of works is a representation of an individual’s relationship with their antecedents and surrounding reality. The exhibition considers the relationship between the legacy of our past and impact of the exploration of the forthcoming. ‘State of Origin’ aims to introduce various interpretations of the idea in one entirety of human experience. It doesn’t define home as a oneness, however it makes and attempt to embrace various perceptions towards the concept. This entry was posted in Artists, Events, Exhibition, Uncategorized and tagged Curator, exhibition, london visual arts, LoVArts, state of origin. Bookmark the permalink.